Colder days are arriving in The Netherlands, so today I focus on oatmeal. Lovely, creamy, delicious oatmeal. 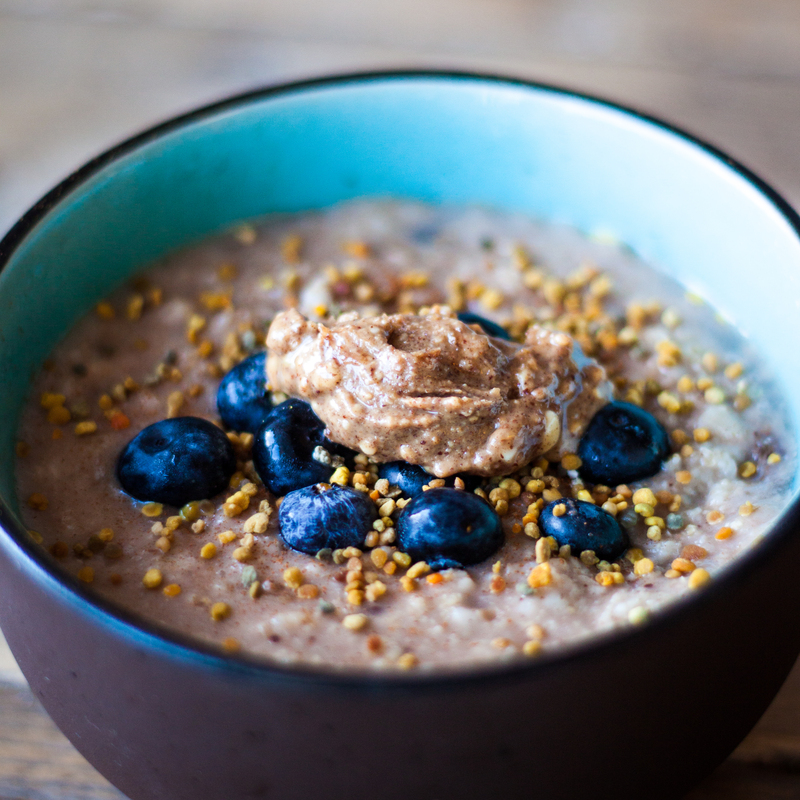 Let’s not forget peanut butter, one of my favourite toppings for oatmeal. I stopped using ‘regular’ peanut butter a long time ago, the natural peanut butter without added sugars is just way healthier and much tastier. Organic crunchy peanut butter by Meridian is really tasty and good. What do you need for one portion? Dice the banana into slices. Bring the water to a boil, add oats and reduce heat to medium. Add the sliced banana and the blueberries. Once more of the liquid has absorbed, add the sultanas, vanilla powder and cinnamon. Stir. Add some more oats if you want it to be thicker, or add water if it’s getting too thick. Ready? 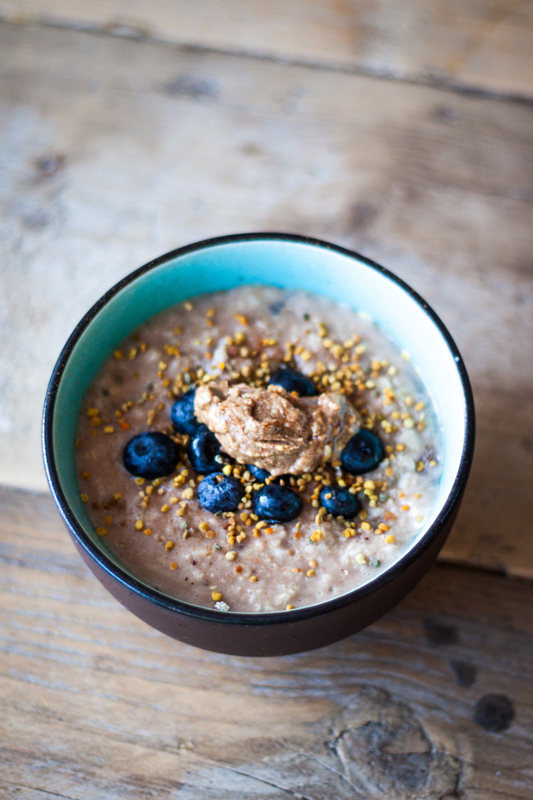 Transfer to a bowl, Add the bee pollen and peanut butter, stir and enjoy!